Is it time to do democracy differently? Can we fix our broken politics? 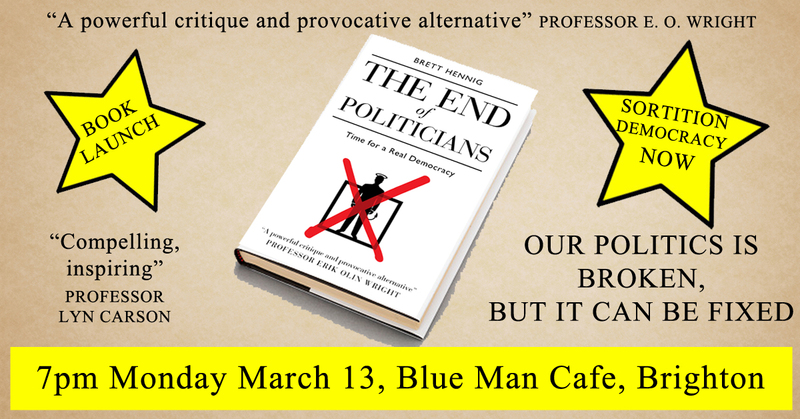 Come and hear about the alternative to our tired electoral democracy, about the groups experimenting with new ways of doing democracy (in particular the UK's first G1000) and the campaign to institute this democratic alternative by putting deliberating, informed, ordinary citizens back into politics.